My name is Christina, those who know me well call me Nina, and those who have known me since birth call me Squeeny. I love it when my girls and I “stumble” upon education. We were at our local library a while back checking out books. Lord love those librarians who display seasonal reads atop their shelves! Staring at me eye level was the book “Life Cycle of a Pumpkin” and I picked it up. To my surprise, when we got home, my girls wanted me to read it over and again. They were enthralled. 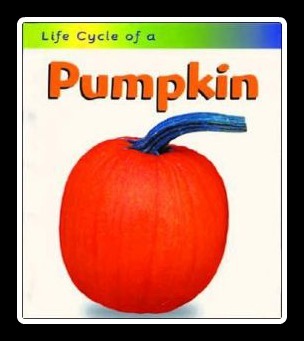 I decided to encourage their excitement towards this fall topic and develop a craft that would dedicate the life cycle of a pumpkin to their memories. 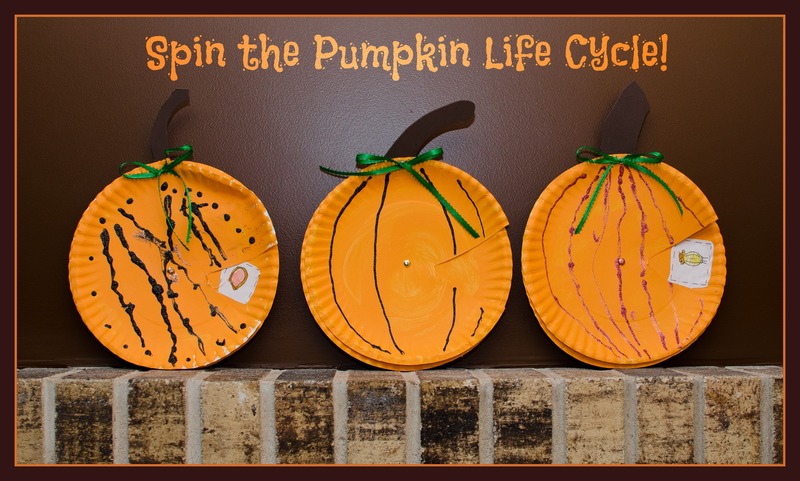 Thus our Pumpkin Cycle Spinner Plates were born! It’s a very simple, very cheap, and very fun project. 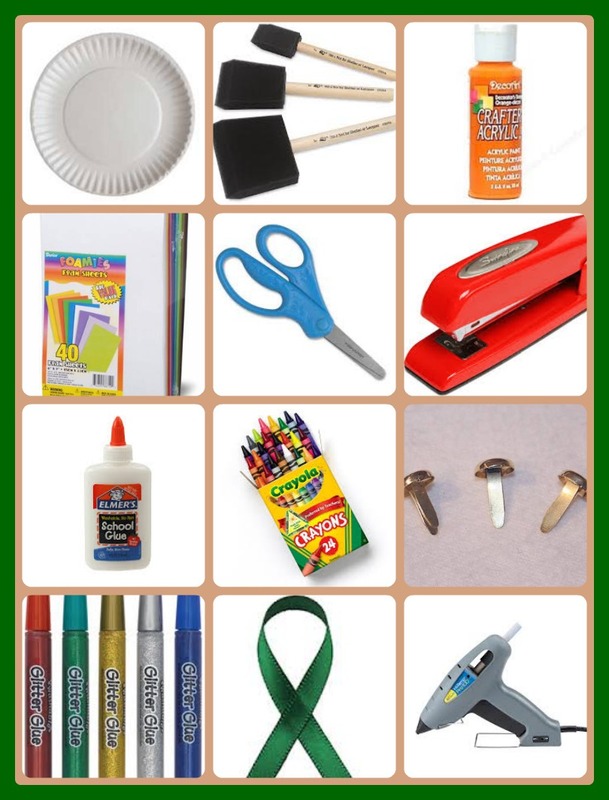 The following supplies are needed for each student for this craft, two paper plates, a sponge brush, orange paint, a brown foam sheet, scissors, a stapler, glue, coloring utensils, a craft brad, glitter glue, green ribbon, and a hot glue gun. Of course some of these may be omitted for a simpler version. To start our pumpkins, I dressed my girls in their worst clothes and let them go paint happy on their paper plates. To their delight, they were instructed to cover every inch in orange. Afterwards, as these were laid aside to dry, they each cut out a stem for their pumpkin from a brown foam sheet, which I later stapled to the back of the top plate. 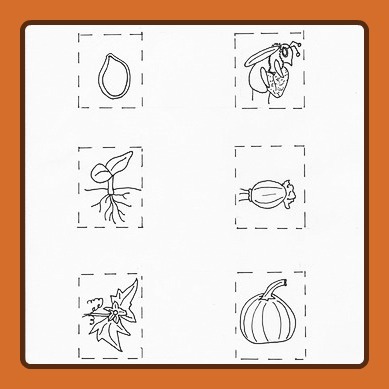 Next I handed my girls a sheet of images depicting the steps in the life cycle of a pumpkin to color and cut out. Since I had a hard time finding the images I wanted online, I was forced to draw and copy my own. I will definitely be saving a master copy for the future! After those were done and the plates were dry, I traced out a small triangle on the side of the top plate for my girls to cut out. This would act as a window. Then I laid the top plate over the bottom plate and lightly marked six x’s on the bottom plate with a pencil to direct them where to glue on their images. Once the order of those images were double checked and the glue was sufficiently dry, I placed the top plate back over the bottom plate and poked a hole through both dead center using a pencil. This was where I secured a small brad , which gave us the spin we wanted. 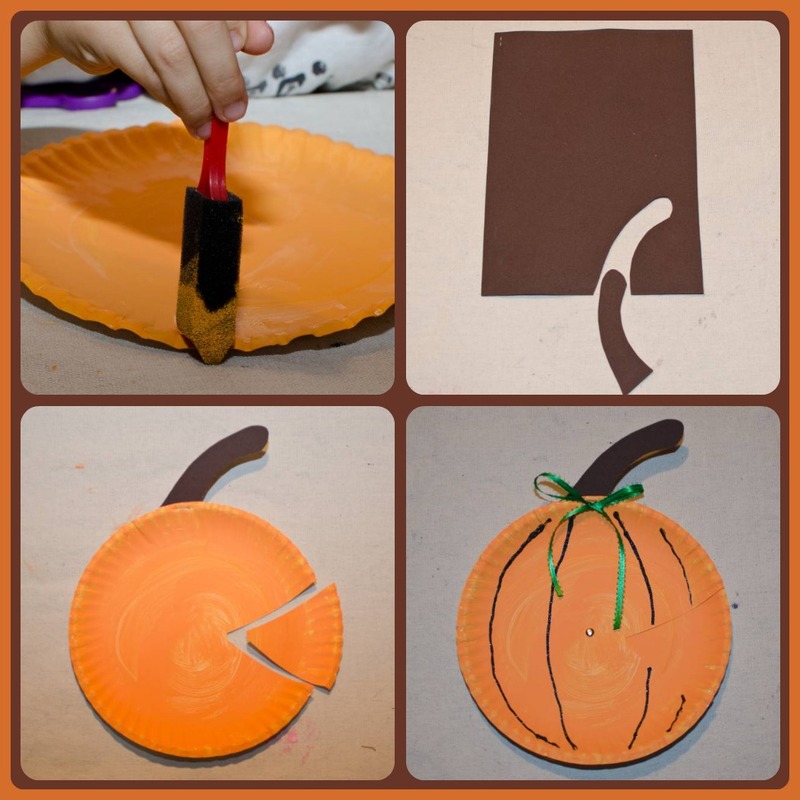 The bottom plate could be turned round and round, windowing one step in the life cycle of a pumpkin at a time! To add a little pizzaz, we also glittered lines on the face of the pumpkin and added a green bow over the staple holding the stem in place, using a hot glue gun. The best part about this educational craft is that my girls get the opportunity not only to show off their art to anyone and everyone, but also explain the life cycle steps of a pumpkin that they learned. Katie VandeVrede on A is for Apples!